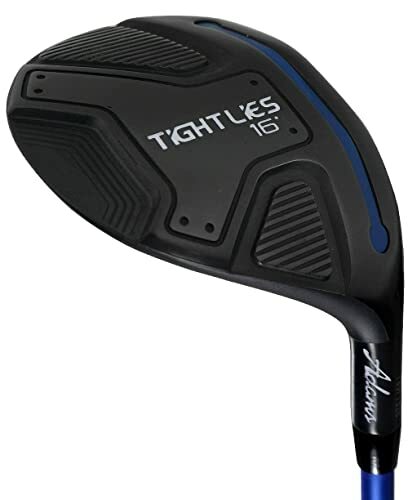 Tight Lies is a very versatile fairway wood by Adams Golf that every golfer will enjoy having on the course. It has an upside down head with a low profile and some other impressive features that include a Tri-Level Sole and Ghost Slot Technology. 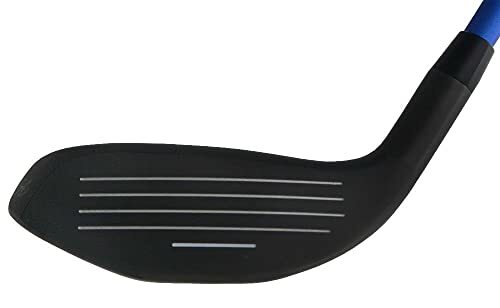 This club comes with a Mitsubishi graphite shaft that is available in Stiff, Regular and Senior flexes and a stylish matte black finish that makes it look very attractive. Ghost Slot Tech: The Ghost Slot Technology is one of the outstanding characteristics of this club. This technology hides the slot on the crown but still gives the club impressive ball speeds and also increases the forgiveness. Upside-Down Head: The upside down head also has a low profile which creates a large impact area that makes it hard for players to miss regardless of their skill level. Tri-Level Sole: Tight Lies comes with a Tri-Level Sole that is useful for reducing turf interaction to ensure that golfers always get an impressive performance regardless of the lie. Shaft: It comes with a black and blue graphite shaft from Mitsubishi that is available in Stiff, Regular and Senior flexes. The 60 grams shaft is light and very stable to ensure that it suits most playing styles and handicaps. Grip: Adam uses their Full Choice Standard grip on this club. The grip has some textured section for your fingers to ensure that you always get a perfect and comfortable grip. It is a versatile club that is easy to hit from different lies. The low-profile head leads to a smooth contact as it cuts through the rough quickly. It is useful in minimizing sidespin to ensure that the ball always remains on target. This wood provides an incredible overall distance. Golfers always get a soft feel on impact and enough feedback on off-center hits. Mis-hits are very forgiving with this golf club. The sweet spot is large and hard to miss even for beginner golfers. Matte black finish and the speed slot that blends into the head design give this club a sleek and stylish appearance. The small head can be intimidating for some golfers. It would be a better club with an alignment aid on the crown. This fairway wood seems shorter than other 3-Woods. The black face will scratch after a few months. It has a shallow face that may reduce playability (from the tee). Fairway woods are always an important part of any club set, and so it is vital for golfers to choose the best. Tight Lies from Adams Golf is an outstanding golf club both in appearance and performance. The versatility of this club and the way it cuts through the rough is what impresses golfers most. The low-profile head is also fantastic because it helps to provide a smooth contact. Also, golfers seem to love the response that they get even on mis-hits and the comfortable grip that feels amazing on the hand. Even with all these outstanding features, it is important to know that there are still some complaints from golfers and they include the lack of an alignment aid on the crown and that it seems shorter than 3-Woods from other brands. However, the impressive performance and sleek appearance still make this a top notch woods that any golfer will enjoy swinging.